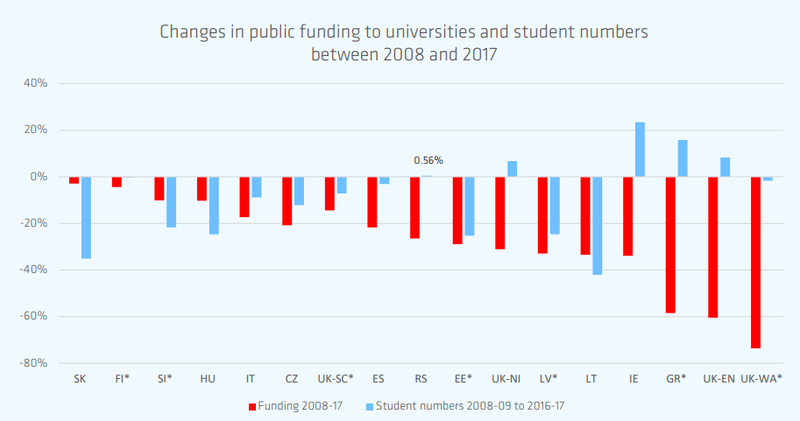 A report by the European University Association (EUA) sees higher education systems in England, Greece, Ireland, Northern Ireland and Serbia to be “in danger”, citing funding cuts paired with increasing student cohorts over a nine-year period, from 2008 to 2017. 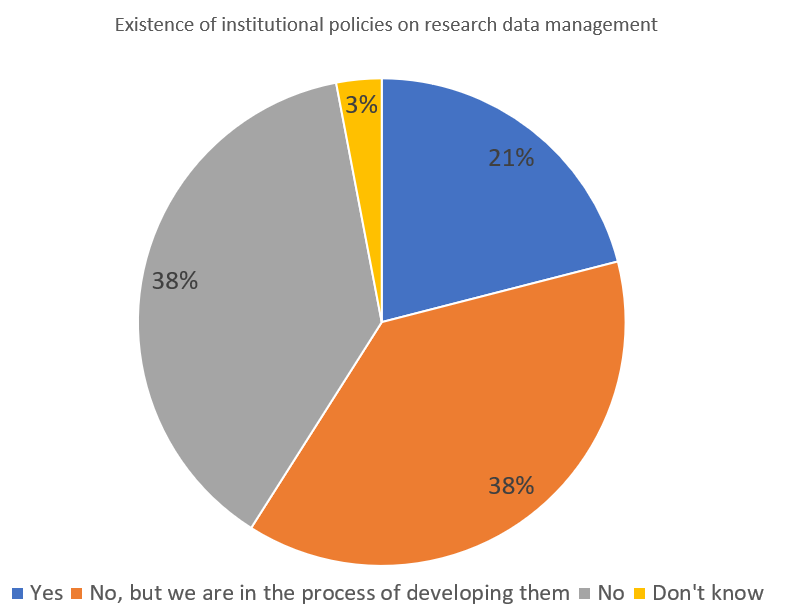 The proportion of women researchers in the EU remains low, according to data presented in the “SHE FIGURES 2018” report by the European Commission. 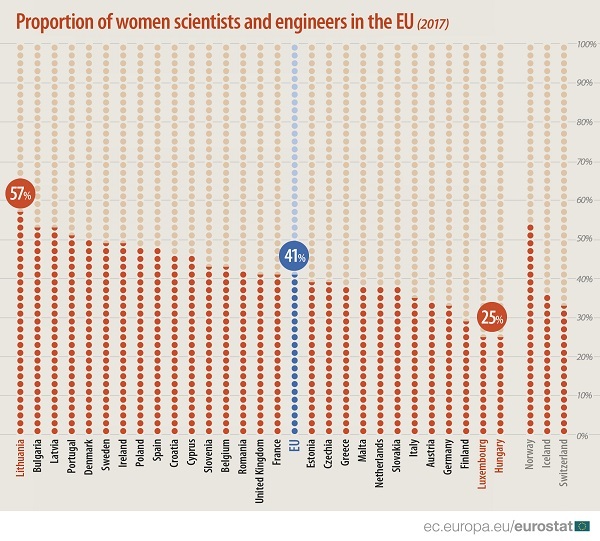 In 2015, women represented only 33.4 per cent of researchers in EU’s 28 member states. 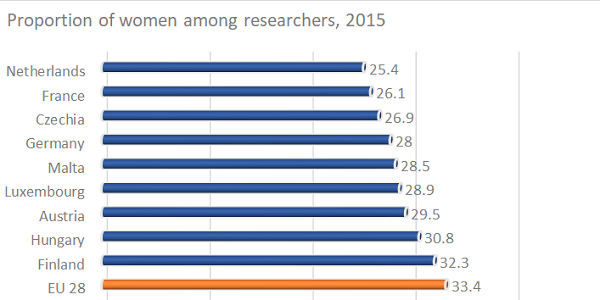 This proportion hasn’t changed much since 2012, when women represented 33 per cent of researchers. 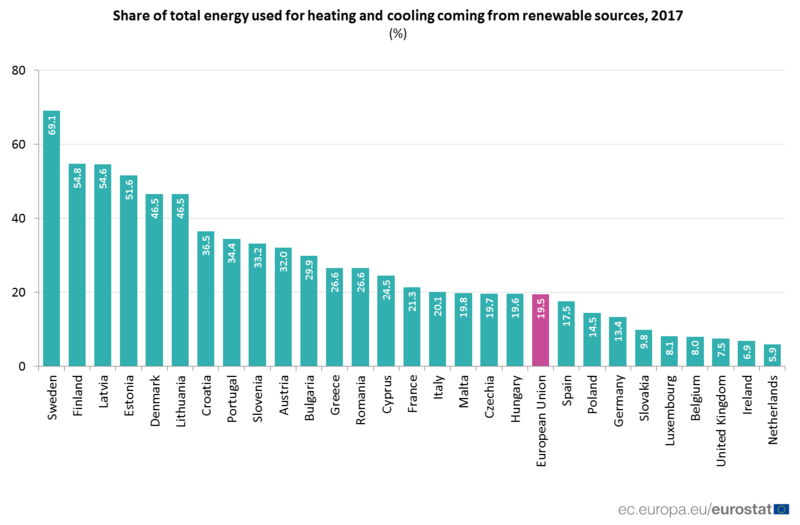 In 2017, only 19.5 per cent of the total energy used for heating and cooling in the EU came from renewable sources. 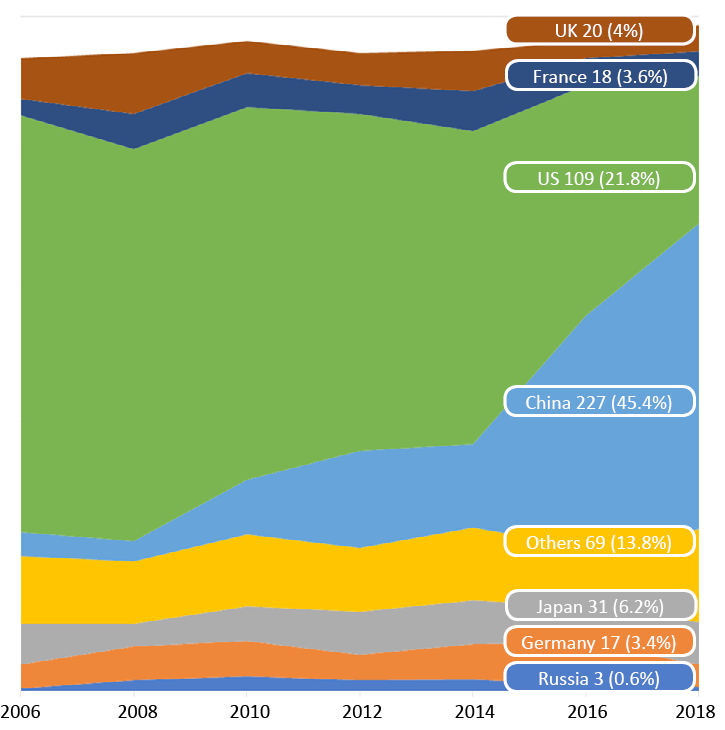 Despite a nearly two fold increase compared to 2004, when only 10.4 per cent of the energy used for heating and cooling came from renewables, the distribution of renewable energy across member states is uneven. 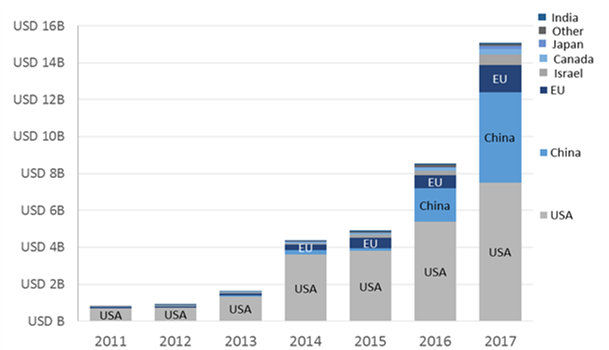 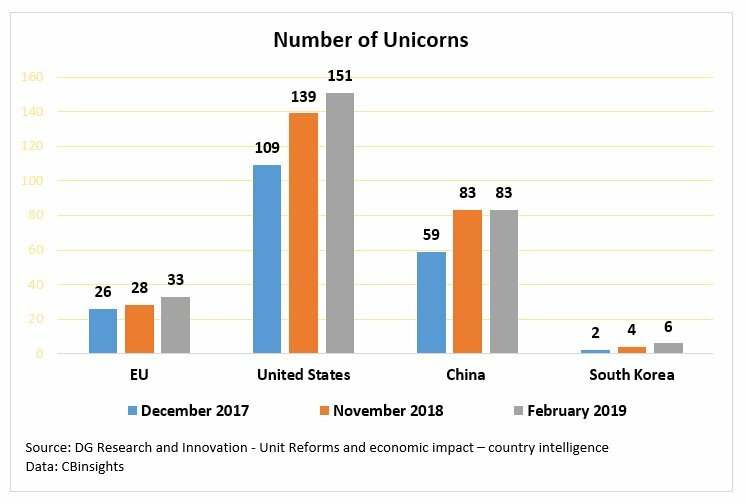 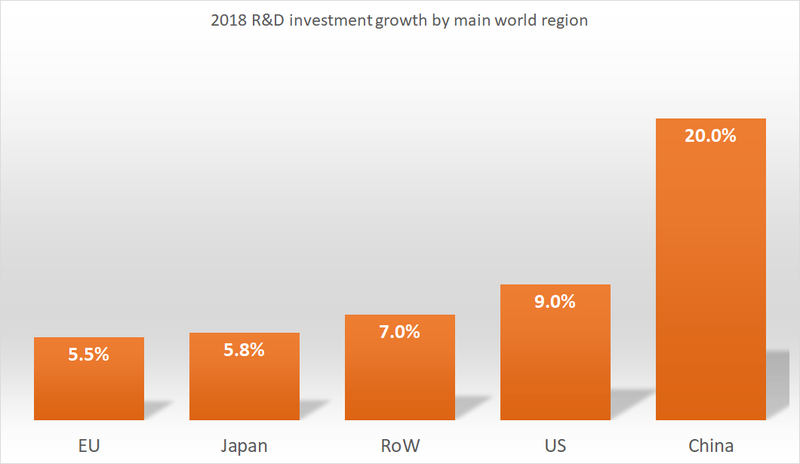 Private investment in artificial intelligence (AI) start-ups is growing, mainly in the US and China, according to an OECD analysis of Crunchbase data. 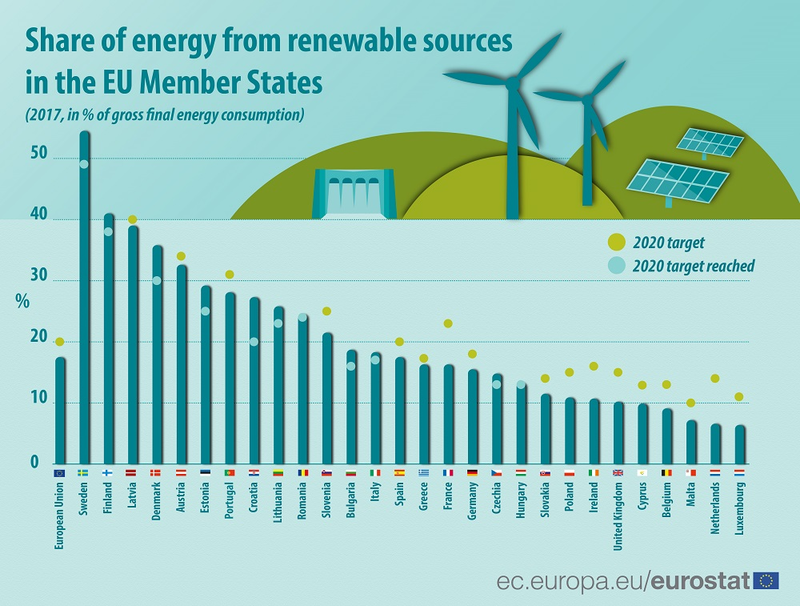 Fewer than half of EU’s member states have reached their national 2020 targets for energy consumption from renewable sources. 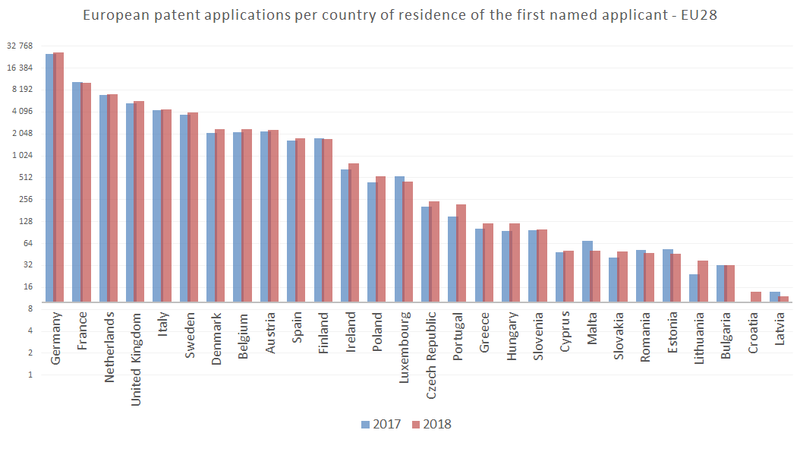 According to the latest Eurostat data, 17 member states were still falling short of their targets in 2017. 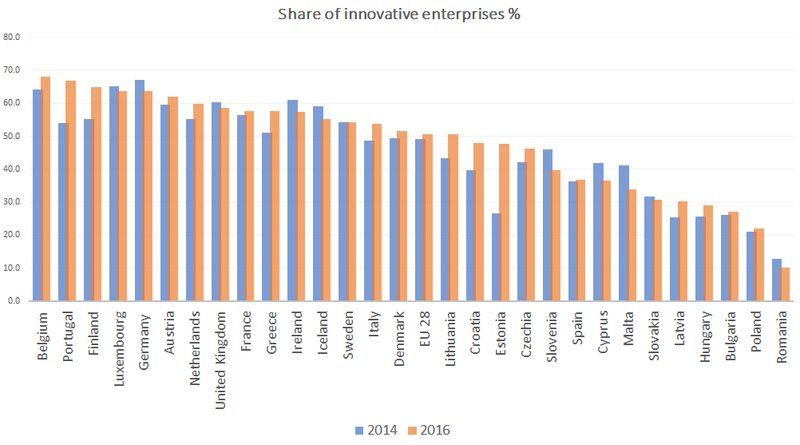 According to Eurostat data, in 2017, 41 per cent of EU’s 18 million scientists and engineers were women. 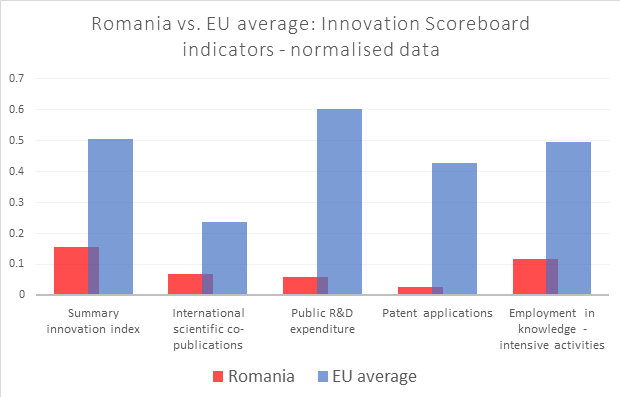 According to European Commission’s innovation scoreboard, Romania has EU’s poorest track record in research and innovation investment and policy support. 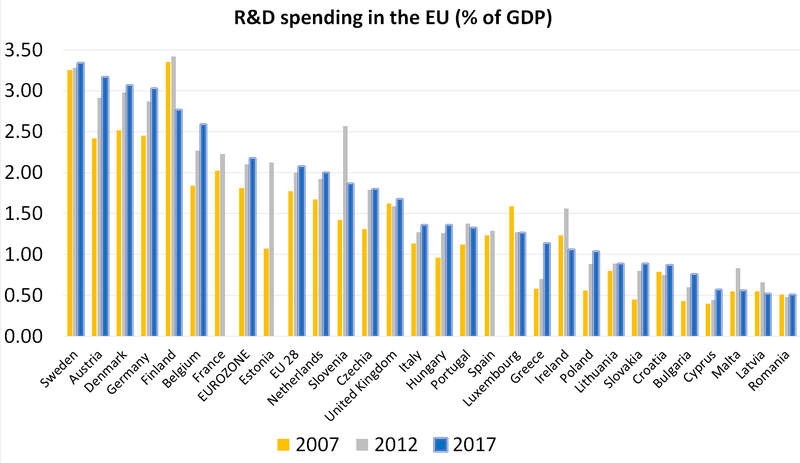 It has the lowest R&D expenditure, at only 0.48 of GDP, the lowest number of patents per capita, the lowest rate of employment in knowledge-intensive activities and international scientific co-publications. 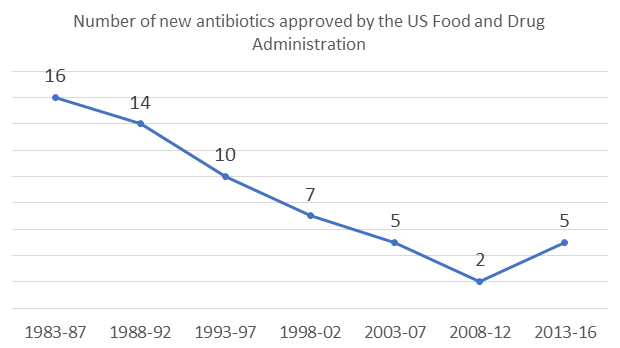 The number of new antibiotics approved by the US Food and Drug Administration (FDA) is has been declining between 1983 and 2012, according to an OECD report on how to tackle antimicrobial resistance. 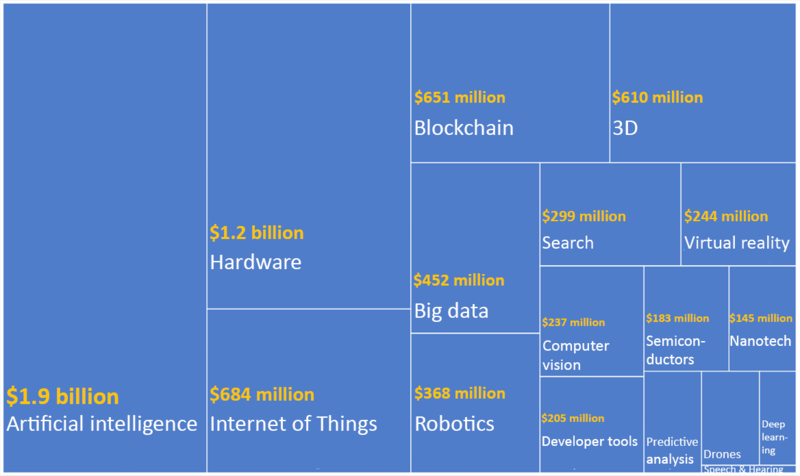 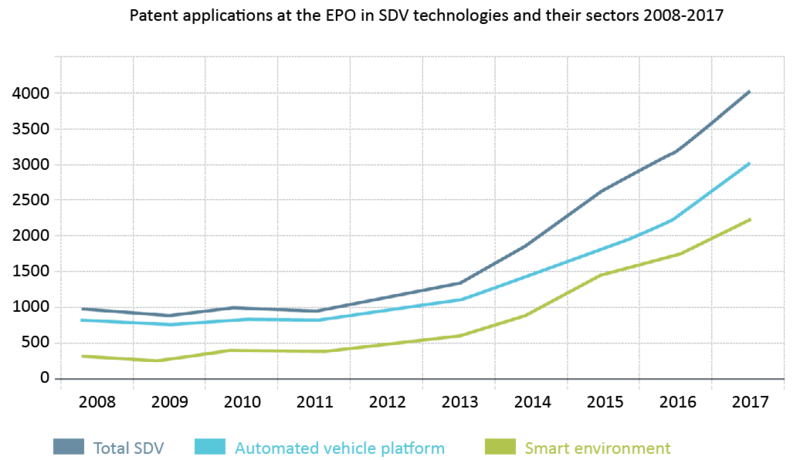 More capital flows into artificial intelligence (AI) companies than in any other ICT sector in Europe, according to a report by London-based technology investment firm Atomico. 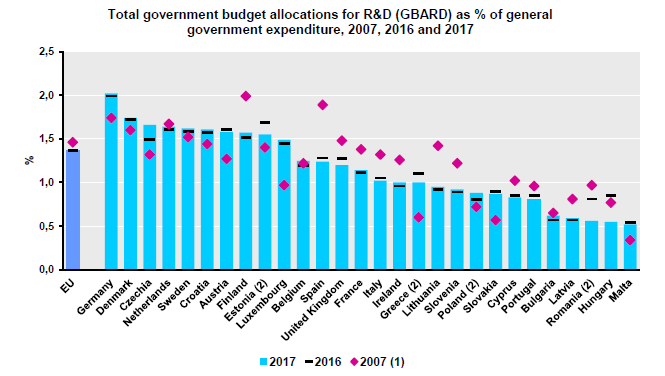 Between 2007 and 2017, government R&D budgets shrunk in several member states, the latest Eurostat data shows. 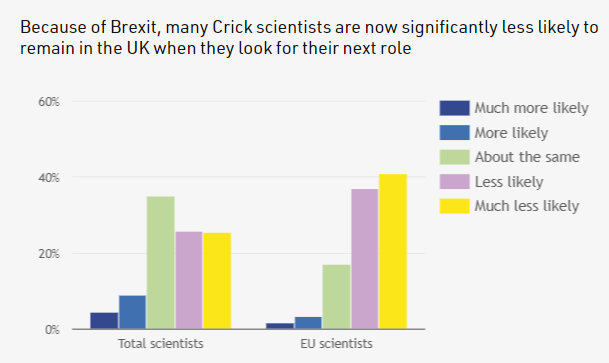 Researchers at the Francis Crick Institute, UK’s largest biomedical research lab, say they are much less likely to remain in the UK when looking for their next career step, according to an in-house survey published on October 22.